Before creating accounts or downloading files, you will probably get all excited about building a website. That’s good, welcome on board! But if you don’t have previous experience with web building systems, it is time for some extra research – which one should you choose as your starting point? As you might already know, WordPress can be found on almost thirty percent of all sites. That makes it the most popular web building platform without question. But before you jump in and start creating your first pages, did you know that there are also several other services that are very similar to WordPress? Making a decision becomes harder since many of those tools promise similar things – beautiful visual interfaces, easy way of building a site, all of them are beginner-friendly, they don’t cost much… but which one to go for? Today, we are going to focus on the differences between WordPress and Wix. To make it easier, we are going to compare the self-hosted version of WordPress to Wix, to be more specific. If you are still not sure why there are two versions of WordPress, please see what’s so different between WordPress.com and self-hosted WordPress.org since we have covered the topic in detail. Although we have loved WordPress from the day one, the truth is that it is not as simple as Wix. It will take much more time until you can say that you know each and every feature that WordPress provides. And it will definitely take much more time to master the craft with WordPress. But at the same time, while there is a learning curve with the popular CMS, it will be much more rewarding in the long run since WordPress is a much more robust solution. From the very start, the professional team of developers at Wix had tried to emphasize the simplicity of using the platform. Everything from creating your first account to designing a site is extremely simple and beginner-friendly. Each process has been redesigned so it works for the users. Its visual interface is very intuitive, and it will take just a few moments until you get things together. No matter what you have in mind, it will be achievable in just a few clicks, most probably through a drag and drop editor. Although we hate to admit it, Wix is a better solution for a complete beginner who does not expect much from a website. Modern websites and blogs need much more than any standard web builder offers out of the box. That’s why it is crucial that you know how well each of them works with templates and extensions. Since there are thousands of themes and plugins to be found just in the free WordPress directory, it is hard to compete with the popular CMS. Whatever functionality or niche comes to your mind, you will be able to track down themes and plugins for your site. Most of the time, the extensions and templates will be free. At some point, you might want to go even further. This is where WordPress’ massive community saves the day – there are also thousands of premium plugins and WordPress themes that will get you anything you want. WordPress’ default system makes it easy to switch between themes and plugins and customize them in detail. Most of them feature export and import options that will help you work with numerous sites as well. Wix features hundreds of gorgeous templates that can be quickly assigned to a site. All major niches are covered, so you won’t have to worry about finding a template for your unique site. So, whether you’re building a simple blog, hobby site or an official website for your law firm, you’ll have something to work with. All templates are responsive, and there is a special mobile editor that will let you customize the site specifically for portable devices. The themes are customizable, and you get to use prebuilt effects. But the big drawback is the inability to switch themes. Also, Wix doesn’t allow you to customize the CSS code. Blogging has become popular over the last few years. Many users want a website just for blogging purposes, and in that case, it is important that the platform of your choice has it simple. 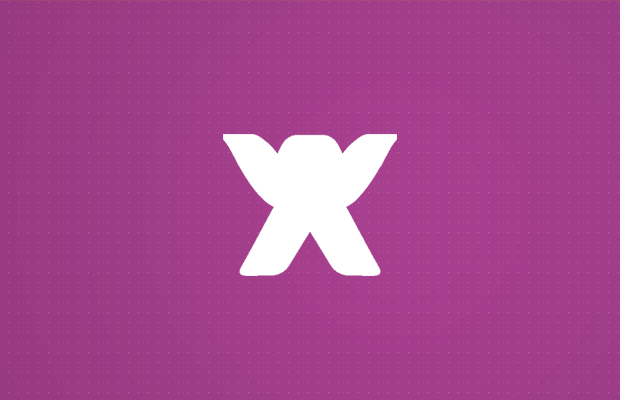 How do Wix and WordPress handle content management? When it comes to us, WordPress is the most powerful content management system. Period. We are sure that millions of other users also share our love towards WordPress, and that’s not just a simple coincident. WordPress features both Visual and Text editor that let you control articles. While you can easily work with the Visual editor and enjoy writing and managing media, Text editor lets you go beyond that and use custom HTML and CSS if desired. Even without extending editors and media management module, with WordPress you get a perfect blogging platform that only keeps getting better with each new update. Blogging with Wix is an amazing experience. 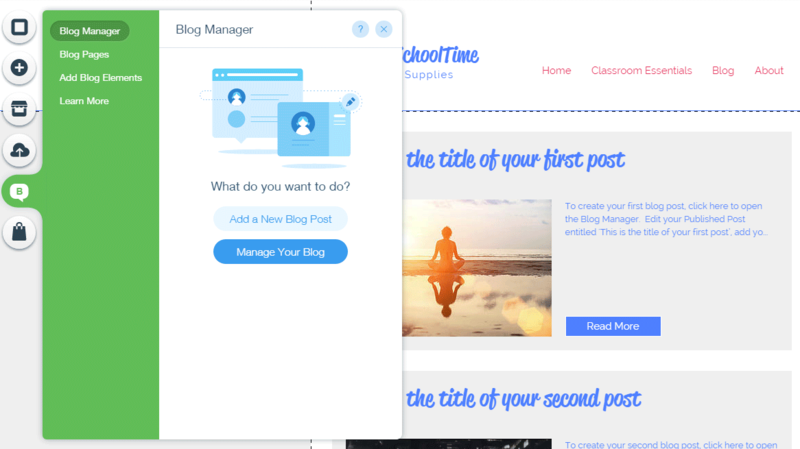 After creating a page, you get to use a blogging module that will turn that page into your personal article machine. Actually, the Blog Manager in Wix is quite similar to WordPress’ standard Visual Editor which means it’s great. Wix makes it easy for anyone to start writing their first blog as everything looks quite simple and easy to understand. You will quickly learn how to add media, tags or preview articles before publishing them. When starting out, it is important to have good support. How well can WordPress and Wix help you out when things get complicated? Unless you pay for monthly maintenance, you are practically left alone. As WordPress is an open source CMS and you get it for free, you also have to take care of your site. Anyhow, tons of online resources will help you with anything you need. If you choose WordPress, don’t forget to visit our new WordPress learning section. Official support forums count thousands of users that will be happy to help. The only difference is premium extensions and templates. Usually, when buying a premium product, you also get support from its developer. So, if you’re a beginner, be prepared for some Googling or extra monthly fees that will cover maintenance costs. If you choose Wix, you can expect great support for the platform. Hundreds of thousands of threads in the official forum will probably help you with anything. But don’t forget to check video tutorials, professional email support, and a special education program that will assist you with most of the things regarding Wix. As we mentioned, Wix is all about visual aid so you can expect inline help in almost all situations. If you’re not sure how something works, just click an icon next to a builder element, and Wix will explain how it works. Both WordPress and Wix are free. But as soon as you start using any of the platforms, you will realize that those free options can’t get you very far. Unless your plans with a site are really simple, you will have to spend some extra credit card points both on WordPress and Wix. WordPress is an open source CMS which also mean it is free. But to get it up and running, you will at least have to pay for hosting and a domain name. And this is just the start of extra expenses. While it is true that you can run a site for free, you will have to know a thing or two about web technologies and WordPress itself in order to manage the entire thing on your own. In that case, you would be able to avoid extra expenses when it comes to maintaining an optimized site. Still, the chances are that you will need a few premium plugins and themes that will only add up to the end receipt. So, a site that you thought you would get for free could quickly become a money-eating monster that eats hundreds of dollars per year or even month in some cases. 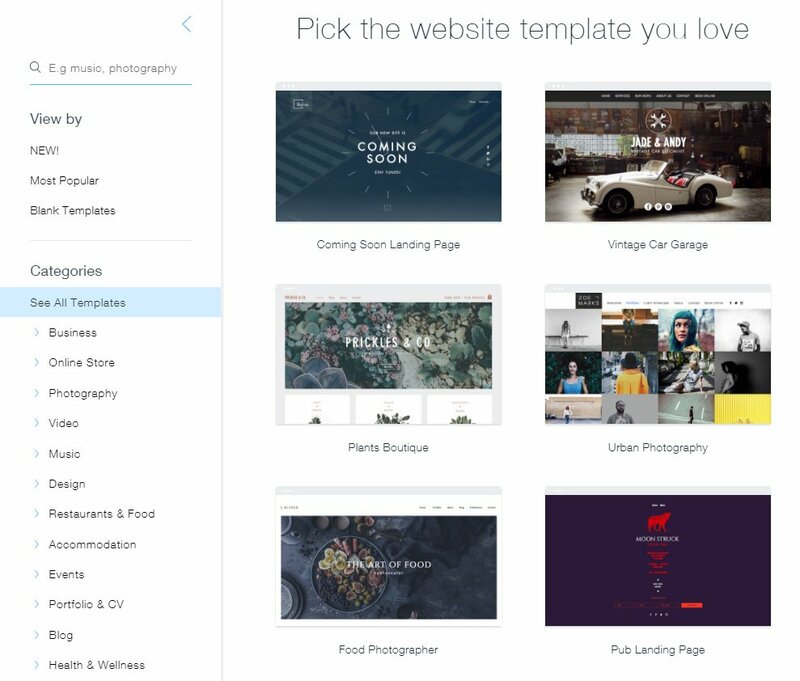 The primary website builder is completely free. All you have to do is register a new account, and you can start working on a new site. But as you will realize quickly after that, the free version is as limited as a bird in a cage. 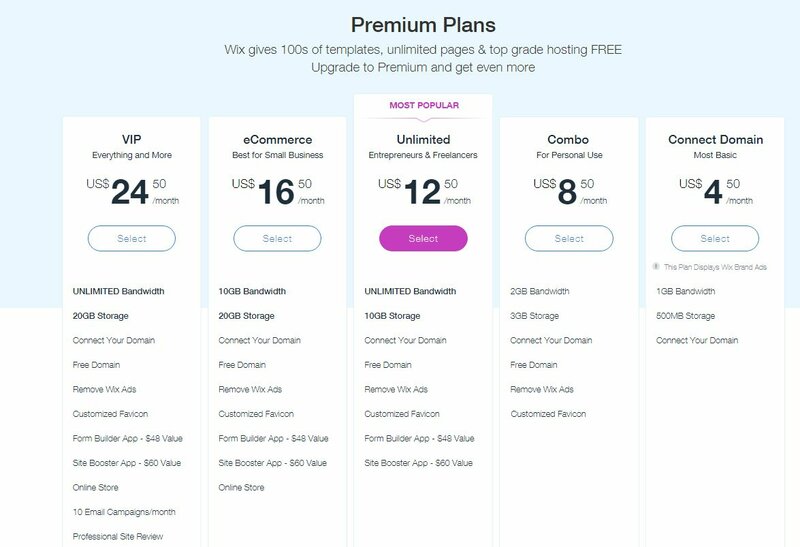 Well, there’s a reason for that – the folks at Wix want you to upgrade to one of the premium plans. So, if you want to stick with the free version, be ready for some serious advertisements on your blog. Also, forget about having a custom domain. Premium plans vary. You can start with the Combo plan that will costs you $8.50 per month. You will get 2GB of bandwidth, 3GB of storage that will be more than enough for an average blogger, and there will be a free domain waiting for you as well. Luckily, the Combo plan removes ads from your site. Although an online store is just another website, there’s much more work involved. Also, you will need additional extensions and probably a new theme that will work well with your store. If you’re thinking about starting an eCommerce business, how can Wix and WordPress help you? Just by installing a plugin like WooCommerce, you can have your e-store up and running in a matter of minutes. With WordPress, you get to choose among several powerful eCommerce platforms which allow both beginners and professionals to run a successful online store. There are literally thousands of themes and plugins dedicated to eCommerce. So, even without paying an extra cent, you can set up a simple e-store that will run without problems. Unlike Wix, WordPress allows numerous payment gateways and other options that will help you reach the audience that you really want to target. Without paying extra for WixStores, you can forget about running an online store. But even if you decide to add a few extra bucks to the plan, your shop will be quite limited. When you start building the store, you will realize that there are only a few 3rd party apps that can help you. And the bad part is that those apps will cost you some additional dollars. Also, with WixStores, you get to use only PayPal or Authorize.net which means that you are losing many potential clients. Still, if you’re not as demanding, WixStores will be a very beginner-friendly way of handling a simple online store. WordPress is much more powerful than Wix. It allows you to build any type of a website that you have in mind, without practically any restrictions. If you are serious about your site or blog, and you think about working on it for a longer period of time, we suggest starting it with WordPress. The truth is that you will spend a lot of time learning about specific features in WordPress, but it will pay up in the long run. Which one to choose when you starting with building a website – #Wix or #WordPress? On the other hand, Wix is a fantastic platform for beginners and users that aren’t interested in going far with a site. If all you want is a user-friendly interface that will let you build a nice looking site without having to learn much about the platform, go with Wix. In that case, some limitations that come with the platform won’t matter much, and you will have a professional support at your disposal at any time.